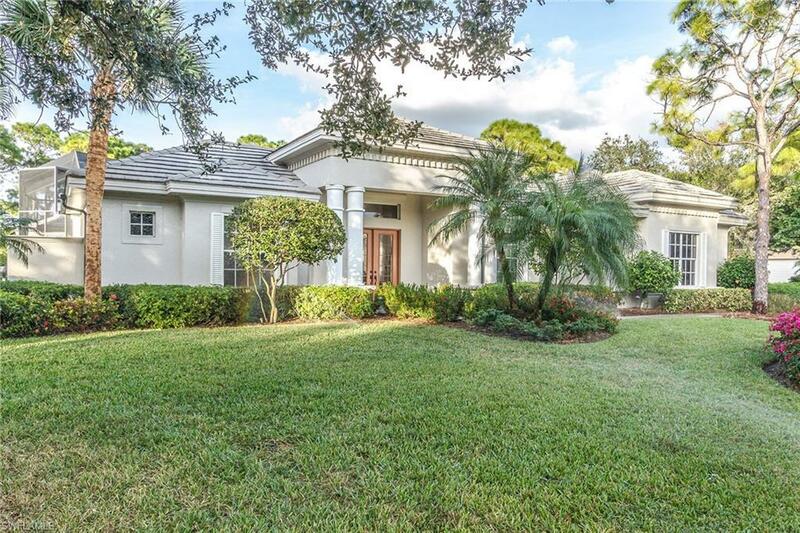 25040 Ridge Oak Dr, Bonita Springs, FL 34134 (MLS #219006689) :: Clausen Properties, Inc. 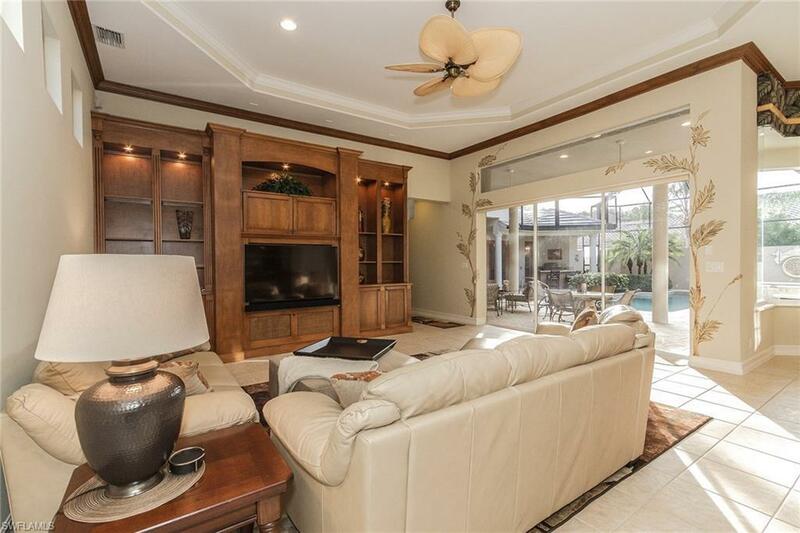 Stunning, 4 bedroom plus den, 4 bath, 3 car garage, courtyard pool home with a spacious open floor plan offering over 3600 sq. 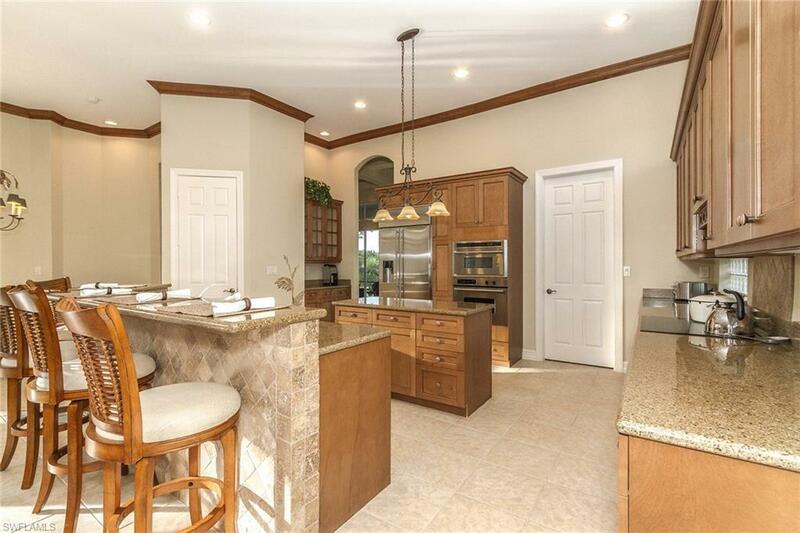 ft. of living space, nestled on a quiet cul-de-sac in The Ridge at Pelican Landing. Upon entry, you are greeted by a 2,600 + sq. ft. screened brick paver courtyard with privacy wall that features a heated swimming pool and spa and a full Summer Kitchen complete with a built-in grill & bar. Upon entering the main residence through the French doors, you will immediately notice the natural light that fills the home throughout. The fully upgraded island kitchen will please any cook with granite counters, stainless steel appliances, and beautiful cabinetry. Off the kitchen is the living room, formal dining room, and Billiards room that opens to the courtyard and back lanai offering incredible views of the Pelican's Nest golf course. 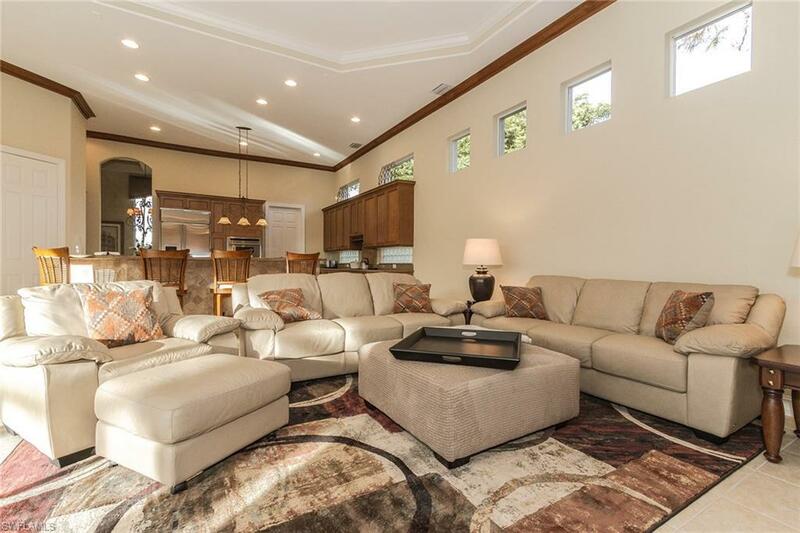 Relax in the grand master suite with sun/sitting room and master bath with marble counters and jetted Jacuzzi tub. A detached cabana suite off the courtyard offers complete comfort and privacy to any visiting family or friends. 6 month minimum rental. $10,500 seasonal. $7,500 Annual.